Today I review two webcomics and some indie physical comic books that I picked up at WonderCon. If you are looking for more great webcomics, check out my Links page for all the comics I have reviewed so far. 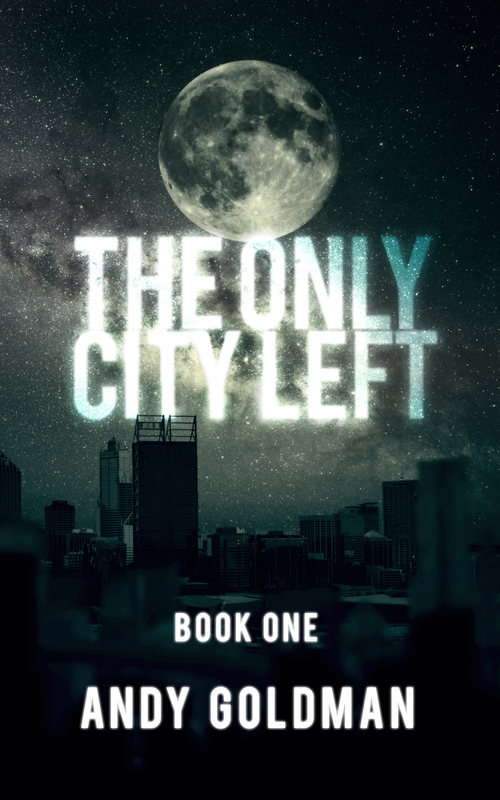 And if you’re into science fiction, check out my serial SF adventure, The Only City Left. Thanks! Last week I covered Hunter Black and this week I am reviewing Planet Pantheon, both of which are written by Justin Peniston. I hope he doesn’t think I’m stalking him. Correction: I hope he doesn’t realize I’m stalking him. Kidding aside, I really enjoyed Planet Pantheon, which is as different from Hunter Black as can be. I have been actively seeking a science-fiction webcomic in the mold of Flash Gordon or Buck Rogers and while Planet Pantheon is not a space opera per se, the art style is exactly what I was looking for, a sort of classic science-fiction comic look, in this case provided by Michael Turda (artwork), Jacob Bascle (lettering/SFX), and Rainer Petter (colorist). Planet Pantheon is still in its early days, about 20 pages in, but here is what I get from it so far. Alaric is a rogue who stumbles back into his father’s life just as dear old dad, Dr. Argus Abernathy, finds the lost birthplace of humanity, planet Earth. I don’t want to spoil anything, but Earth turns out to be a tad more populated than expected and it looks like it will be up to Alaric to save his dad’s bacon when landfall does not go well. I like the father-son antagonism present in the comic. Alaric and Argus may be related but it is clear that they are two individual adults separated by time, distance, and attitude. And I cannot say enough about the art and visual story-telling. There are two pages in a row that are my favorite so far: the first showcases the retro-SF look I am really enjoying, while the five panels on the bottom of the second page tell a great story with only one word of dialogue. I also have to share this page; it carries more emotional heft than anything I have read in a webcomic. It’s horrible but not gratuitous, as it gives you insight into one of the cultures in the comic. Obviously I don’t recommend reading it out of context, spoiler-wise, so be sure to catch up on Planet Pantheon first, but I couldn’t review this comic without mentioning such a strong scene. Finally, the comic is called Planet Pantheon, so it should come as no surprise that there will be gods involved in the story, or at least people who worship them, and I am really digging the first set of worshippers we run into. Dare I hope for a larger clash of cultures/religions on this retro-future Earth? I think it’s almost guaranteed and I can’t wait to read it. Jump on board now while the comic is still in its early days. Xander is a fun adventure through dream-land, written by Taylor Machnick with art by Ian Gibson. I’ve said it before and I’ll say it again, I am fascinated by dreams and I love a well-done story involving dreams. I spent one summer about a decade ago recording my dreams, reading about them, and working on lucid dreaming, and while I don’t have the time to repeat that experiment, it was pretty awesome. So a webcomic about a boy who becomes stuck in a lucid dream? Yes please. The art is light and playful and very well done; it fits perfectly with an action/adventure story set in a fantastical dream world. The story could be a typical hero’s quest, but the main character, Xander, is likeable and excited by the possibilities of adventuring through dreamland, and this is infectious. In one scene he says, “So you’re giving me a quest? I have to cross the dream world, facing all kinds of danger along the way? And if I don’t make it fast enough, my own life will be in peril? Awesome!” It is a kind of knowing nod that this story has of course been done before, but who cares as long as it is fun and exciting. Since anything can happen in dreams, the possibilities for story-telling are endless and could easily spiral off into the bizarre, but in this dream world, there are distinct locales each with their own story or theme, which keeps things under control. The different realms are populated with a number of interesting characters, from Sir Henry the knight, to the cyborg children of the City of the Future, to co-dreamer, goth girl Leila. And let’s not forget Xander’s unnamed dog, who is as cute as can be and also serves to point the way to the familiar First, Previous, Next, and Last comics. I am also curious to see if Xander’s lucid dreaming abilities come at any cost. I know that when I pulled off those sort of world-bending powers while lucid dreaming, it tended to wake me up, but Xander is stuck in the dream world, so can he work as much magic as he wants to? I think this may be discussed soon in the comic (as of this writing, it is up to page 92). In the end, whether or not you have had these types of dreams, I think you’ll find Xander’s adventures fun and exciting, at turns light-hearted and foreboding, like any good night of dreaming. To wrap up my report of my day at WonderCon, I want to share some of the comics I picked up there. Once upon a time, I actually went to comic book conventions primarily for the comic books. Now that I am not as into collecting comics, I still like to stop by some tables and see what’s what in the world of independent comics. One of the tables I approached was that of Committed Comics. The guys at the table were friendly and fun and did a good job of running down the comics they had on offer. I left with all three issues of a comic called Java!, which is a fun/silly action story about a future in which most of the world’s coffee supply has been tainted, causing the caffeine levels to be so high they are lethal. It falls upon the B.E.A.N. Force to protect the remaining, untainted supply of coffee. The heroine, Java, wears a caffeine patch to control her levels of caffeine, because if she has too much, she goes crazy with super-strength and fire-breathing. If it sounds ridiculous, it is, but that’s the fun of it. And as a coffee drinker who needs his cup in the morning to function, I appreciate the comic’s premise. The creative team is: Kensuke Okabayashi (creator/illustrator), Peter Palmiotti (inks), and Lee Stacy (digital colors). Forever Freshman (and the Cunning Code Crackers of the Girl Network!) issue #1 is a black-and-white comic written by Ray Mendivil with art by Neil Segura. It is a comedic take on some clueless band geeks in high school who are look to the “girl network” for information on a new classmate, rather than talk to the girl herself. Think less “American Pie” and more “Li’l Archie” for this high school adventure. I picked this one up because I can relate to being clueless about girls in high school and to support two guys who went the extra mile and made a comic book out of their (mis)adventures. It sounds crazy but it is a lot of fun. Wuvable Oaf, the man and the comic book, is weird, sweet, and funny. 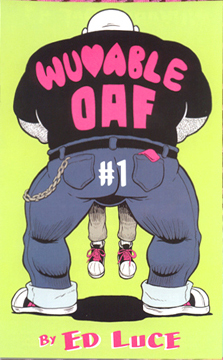 Of the comics I mentioned, I would have to say Wuvable Oaf is my favorite. I should note that it is probably for mature audiences only due to sexual situations, but there is nothing truly graphic in here. I recommend getting in on this Kickstarter while the getting is good! Hey man, thanks for mentioning us in your blog! Awesomeness. Hi Neil, you’re welcome. I’m glad you found the mention!